At the end of last year, the Portland Jazz Composers Ensemble (PJCE) sought proposals for our Oregonophony concert. We asked for Oregon-resident established and emerging professional composers, and college-level students who aspire to professional careers to tell us how they would compose for our unique 12-piece jazz ensemble using recorded sounds from Oregon as a point of departure. From a strong field of applicants from all over the state, we’ve selected the five best: Jim Olsen, Jessika Smith, Eddie Bond, Sam Hunt, and Andrew Endres. Rather than just talking about how this beautiful place inspires the jazz community, we are creating the opportunity for the audience to hear that inspiration in the moment. 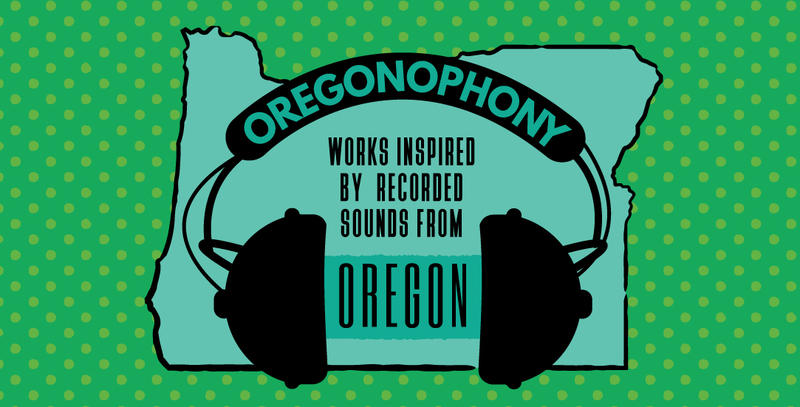 Our composers recorded the sounds of trains, the wind in the Columbia river gorge, a rainy day at a Portland park, a bicycle ride through the neighborhoods of Eugene, and rumblings of the Portland bridges. Each composer will incorporate some concrete element of the recording into the music. The field recording will be intricately coordinated with the performance of the piece it inspired, such that the audience can immediately hear the connection. Each composer will introduce his or her piece, telling the backstory behind the recording and the music, to make the experience as inviting as possible for the audience.